Arrived yesterday afternoon on Corvo and immediately took a walk in the Ribeiras along the lower road. Got back exhausted and hung out with Norwegian birder Jan Kåre Ness, who had had a nice day in the Caldeira with Citrine Wagtail (1st for the Azores), Least Sandpiper and other goodies. 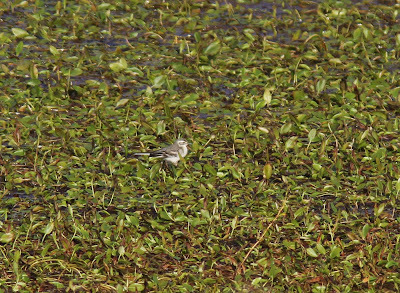 Juvenile Citrine Wagtail, the first for the Azores, found yesterday by Jan Kåre Ness. Nice one and quite unexpected! 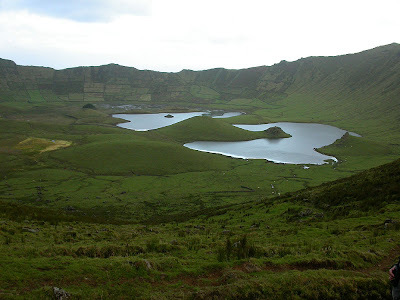 Caldeirão, the crater lakes in the middle of the island. 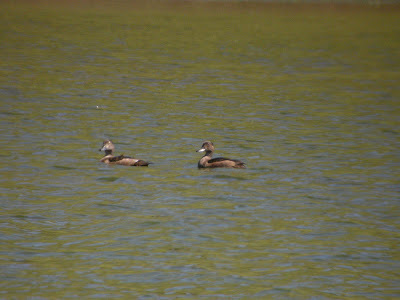 Two Ring-necked Ducks. The right one probably an adult bird (pale iris) and maybe a male since it had at least one big, grey feather on the flank. It also had quite contrasting head pattern. 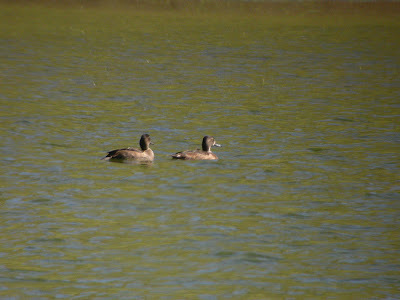 Here the same dudes with the presumed juvenile to the right. Much less contrasting head pattern and darker iris. 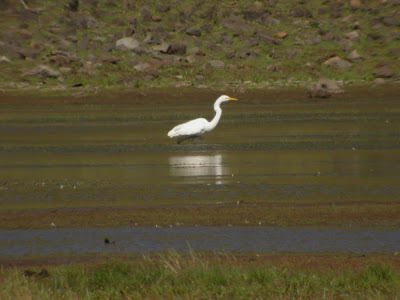 The American Great Egret that arrived in October last year seems to like the crater! 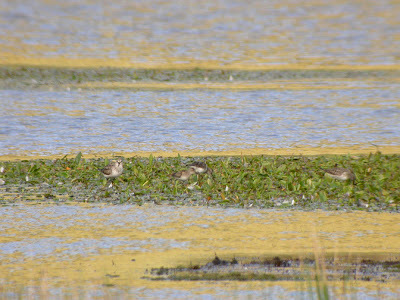 A blury juvenile Least Sandpiper with some White-rumped friends (saw totally five).